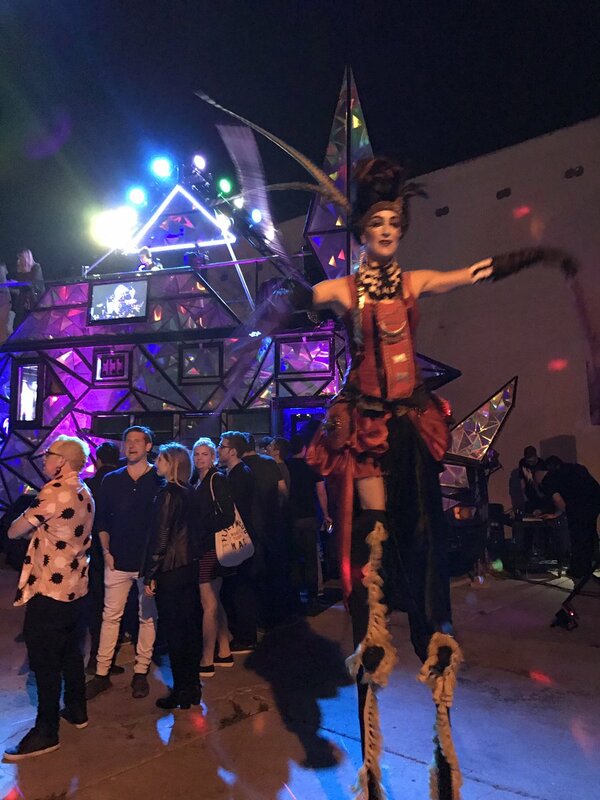 Survios hosted a huge party at its HQ in Culver City on Wednesday night of E3 week. Survios is an up-and-coming VR company founded by USC students that now has four VR game titles. When one of your new games is a virtual DJ game, you better believe that’s a theme of your party! 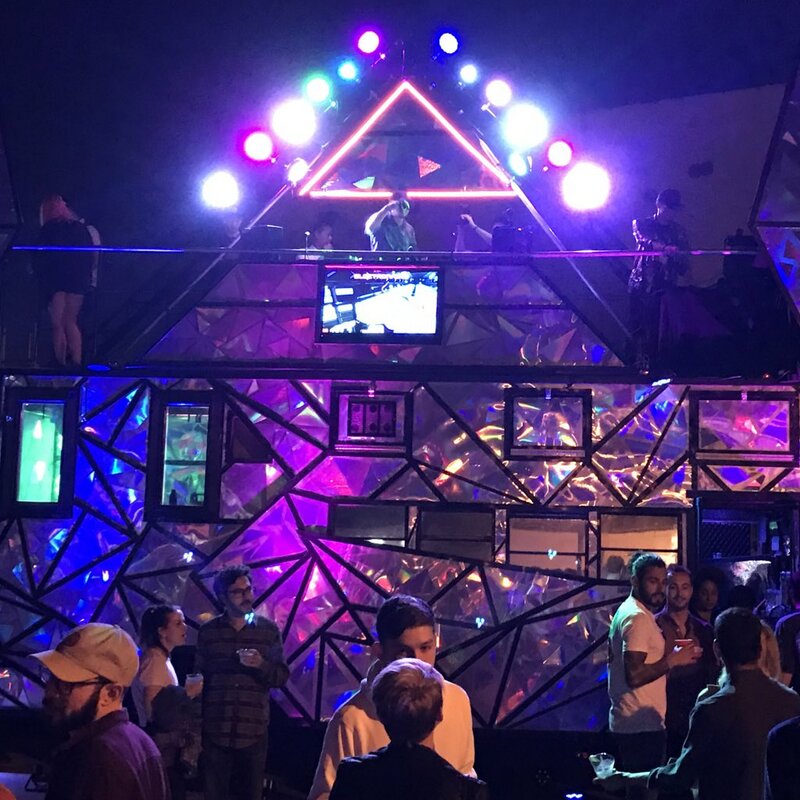 To promote its new game Electronauts VR, where you become a VR DJ, the party featured an Electronauts truck, with a VR DJ playing the game on top to set the music. 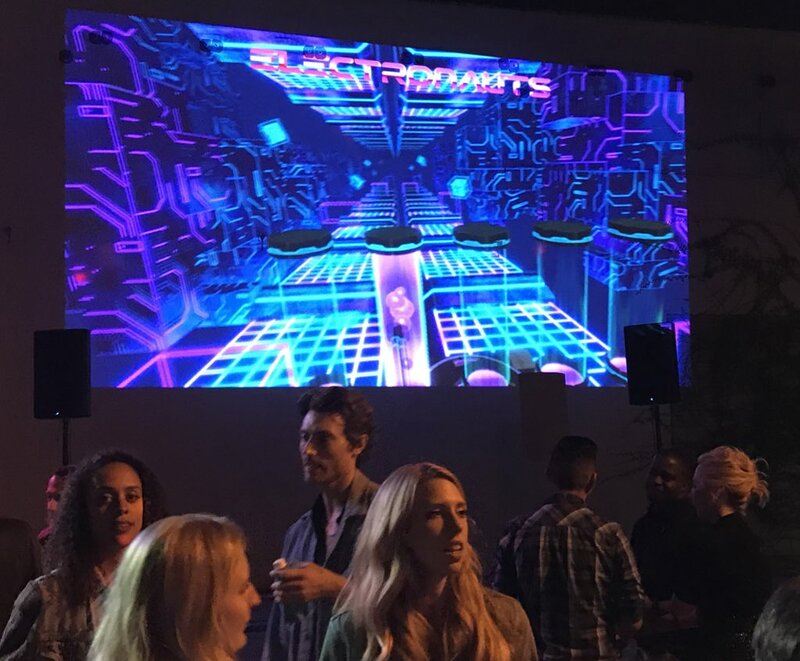 A huge screen projected Electronauts gameplay. Stilt walkers and hula-hoop dancers danced to the DJ beats. 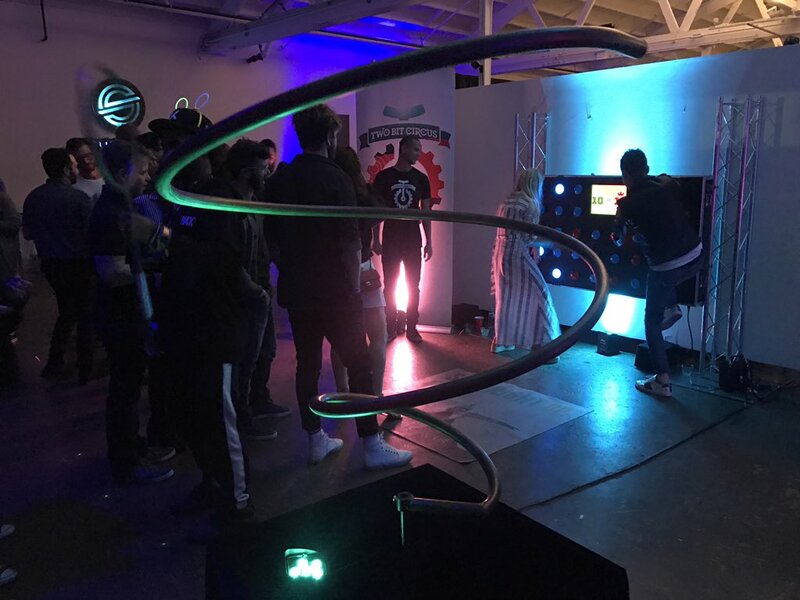 Attendees also played demos of Survios games including Electronauts, Creed VR, Sprint Vector and its first game Raw Data. Attendees also played Two Bit Circus games usually involving one or two-person cooperative or competition game play. 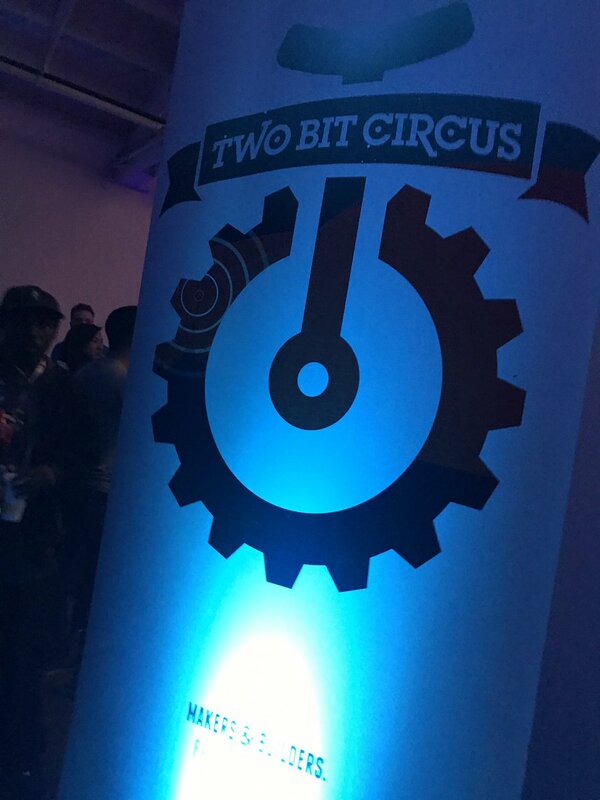 Two Bit Circus plans to open a permanent venue in downtown LA soon.